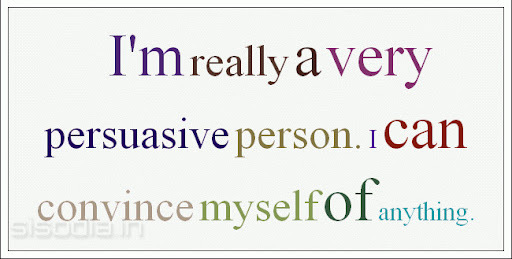 Quotes Find: I'm really a very persuasive person. I can convince myself of anything. I'm really a very persuasive person. I can convince myself of anything.